In commemoration of the Sanskrit Day, the Department of Sanskrit organized a seminar in which some of the reputed Sanskritists of the country participated. Swami Atmapriyanandaji, Vice Chancellor of the University, presided the gathering. After an invocation consisting of Vedic chanting, followed by a hymn in Sanskrit on Swami Vivekananda sung by the students of the Department, Prof Rajaram Sukla, a well-known Vedanta and Nyaya scholar and a senior faculty of Banaras Hindu University, Varanasi, gave an inspiring talk in Sanskrit addressing over 80 students and faculty members of the Department of Sanskrit. He emphasized on how the study of Sanskrit will open up a treasure-house of wisdom enshrined in our ancient scriptures. Vidwan Sri Ashwatthanarayana Avadhani, a Vedanta scholar from Mattur, a unique village in Karnataka where Sanskrit is the language of conversation and daily transaction for all the people in the entire village, was the guest of honour. He spoke passionately on the necessity and importance of Sanskrit becoming a vibrant and spoken language mingling with the nerve current of the nation. The seminar ended with Peace Chant (Shanti Mantra) rendered in chorus by the whole gathering. Students of the department enthusiastically celebrated the 70th Independence Day by holding several programmes extending over a fortnight. 13 Aug: A patriotic song, a mime on Kshudhiram, the freedom fighter, a speech on freedom struggle in India, a skit on the post-independence chaos in the nation etc were presented by the students of the department. 15 Aug: A two hours programme was organized by the University wherein the students of the department rendered vedic chanting, patriotic songs, and two short talks in Sanskrit one by a student of the first year BA, and another by a guest scholar Sri Ashwatthanaryana Avadhani. 20 Aug: Subsequent to the circular from the Central Government to the Universities, the department organized a panel discussion representing the views of the great patriots of the nation in the current scenario. Students assumed roles of Sri Swami Vivekananda, Netaji Subhash Chandra Bose, Sri Aurobindo Ghosh, Rabindranath Tagore and Mahatma Gandhi to highlight their views on the current issues and crises in India. Department of Sanskrit Studies, RKMVU, Belur Math organized second series of special lectures in joint collaboration with Sri Venkateswara Vedic University, Tirupati. Vidwan Sri Ashwatthanarayana Avadhani, President Shruti Sankara Samskrita Samshodhana Samsthanam, Mattur familiarly known as the Sanskrit Village in Shimoga, Karnataka arrived here on our request to give lectures on select texts of Advaita Vedanta to the students of Integrated MA and Integrated Mphil+PhD. 1. māṇḍūkyakārikā (3rd Chapter – advaitaprakaraṇam ) with śāṅkarabhāṣyam for MA final year students. 2. brahmasūtram 4th Chapter with śāṅkarabhāṣyam for Mphil+PhD students. 3. brihadaranyaka-bhashya-vartikam (especially on Shravana, Manana and Nididhyasana). Students of the department apart, Sadhus and brahmacharis of Belur Math and other nearby Ramakrishna Mission centres too attended the lectures. Acharya Bhaktiputra Rohatam, Department of Dharmaagama, in the Faculty of Sanskritavidya Dharmavijnana of the Banaras Hindu University, Varanasi, gave a series of lectures in Sanskrit on Iswara-pratyabhijna, for a week from 4 to 9 July 2016. Acharya Bhaktiputra a gold medalist in Vedanta from Banaras Hindu University, and in Agama from Sampurnananda University, Varanasi is considered a specialist in this area – Kashmira-Shaivism. 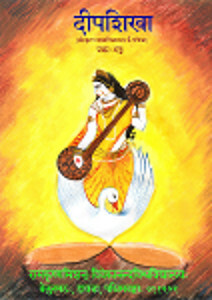 Iswarapratyabhijna composed by Maha-maheswaracharya Utpaladeva is one of the prominent works in Kashmira-Shaiva-Advaita philosophy. Abhinavagupta of 11 century AD who also was widely revered as Maha-maheswaracharya wrote a commentary on it named Iswarapratyabhijna-vimarshini. Bhaskari is a gloss on this commentary and thus the Kashmiri Shaivism reigns to this day in scholastic circles. The wonderful tenets of this philosophy has attracted scholars and seekers of Truth alike. The classes, though arranged for the Mphil, PhD students, were open to all. In the light of Swami Vivekananda’s words on emancipation of women in India, the university authorities in consultation with the Head Quarters, Ramakrishna Math and Ramakrishna Mission decided to launch an exclusive wing for women in the sanskrit department at Swami Vivekananda’s Ancestral House and Cultural Centre, Kolkata. Keeping with the guidelines and instructions of the Head Quarters, the womens’ programme was inaugurated on 6 June 2016, at the Belur Main Campus. Revered Swami Atmapriyanandaji Maharaj, VC of the university inaugurated the programme. The Registrar, other monks and the faculty of the department were present on the occasion. A Workshop on Manuscriptology was organised from 29 March to 13 April, 2016. Revered Swami Atmapriyanandaji the vice chancellor of the university innaugurated it on 29 March, 2016. The training covered general outline of cataloguing mss. and using them as research tools; preventive and traditional methods for conservation of manuscripts; textual criticism, i.e., editing texts from mss. in all details regarding method, practical application, decoding colophons and dates of manuscirpts.etc. ; Indian Palaeography covering general history of Indian writing and teaching and practice of Aśokān Brāhmī, Gauḍī, Mediaeval Bengali, Nandināgarī, Devanāgarī, Nevārī of manuscripts. Copies of original manuscripts were given to the candidates for deciphering for transcribing them into current Devanāgarī script. 28 candidates successfully completed the workshop under the supervision of Prof. Ratna Basu and other learned resource persons (Professor Samiran Chandra Chakrabarty, Professor Nabanarayan Bandyopadhyaya, Professor Debarchana Sarkar, Professor Soma Basu, Dr. Kakali Ghosh, Dr. Somnath Sarkar). In the concluding sesseion on 13th April, valedictory address was delivered by revered Swami Atmarupanandaji Maharaj who gave a motivational talk on the necessity of deep study and research aptitudes. The entire workshop was coordinated by Dr. Rakesh Das, Assistant Professor, Department of Sanskrit Studies, RKMVU.